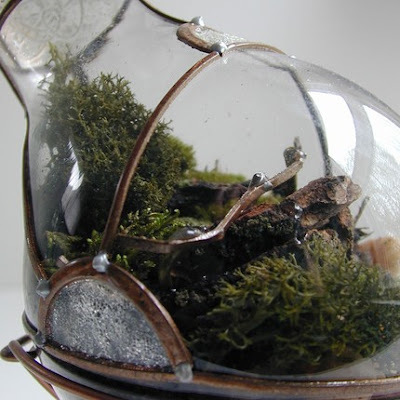 What amazing terrariums Tim has created over at SteamedGlass on Etsy. 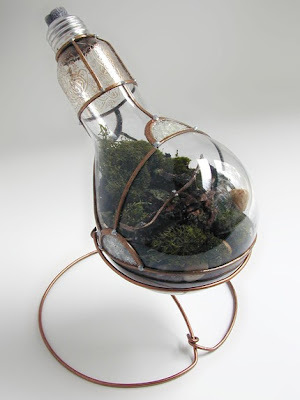 He uses large lightbulbs to build miniature terrariums with a great steampunk flare. I particularly love the floral designs on some of the light bulbs and the clever wire hanger stands. Wow!!! How creative Tim is. I love the diea. Wow now that is a garden in miniature. Like it. That's brilliant! I adore it! Yeah- I think that one with the magnifying glass is the best.